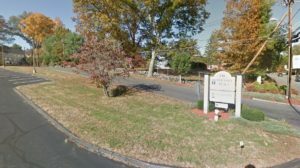 Did someone you love suffer elder abuse or neglect at Beaumont Rehabilitation and Skilled Nursing Center at Northborough? Our lawyers can help. Beaumont Rehabilitation and Skilled Nursing Center at Northborough is a for profit, 96-bed Medicare/Medicaid certified skilled nursing facility that provides services to the residents of Northborough, Shrewsbury, Westborough, Marlborough, Southborough, Hudson, Clinton, Grafton, Worcester, Hopkinton, Millbury, Ashland, Holden, Northbridge, Sutton, and the other towns in and surrounding Worcester County, Massachusetts. As of 2018, Beaumont Rehabilitation and Skilled Nursing Center in Northborough, Massachusetts received a rating of 2 out of 5 stars. The Federal Government fined Beaumont Rehabilitation and Skilled Nursing Center at Northborough $1,950 on October 8th 2015 and $36,894 on December 19th 2016 for health and safety violations. Failed to post a list of names, addresses, and telephone numbers of all pertinent State agencies and advocacy groups and a statement that the resident may file a complaint with the State Survey Agency. Based on records reviewed, observations and interviews, for both resident units and the front lobby, the facility staff failed to ensure postings, in a form and manner accessible and understandable to residents and/or their representatives, included: a list of names, addresses, and telephone numbers of all pertinent State agencies and advocacy groups; and, a statement that the resident may file a complaint with the State Survey Agency (the Department of Public Health (DPH)). Observations of the two resident care units and front lobby of the Facility at multiple times on 12/19/17 and 12/20/17 did not indicate any postings including contact information of all pertinent State agencies and advocacy groups, with the exception of the Office of the State Long-Term Care (LTC) Ombudsman. There also was no indication of any postings including information on how a resident and/or their representative may file a complaint with the DPH. The Surveyor interviewed the Director of Nurses (DON) at 10:00 A.M. on 12/20/17. The DON said she did not know why the postings on how residents and/or their representatives could contact the DPH or advocacy groups other than the Ombudsman were not on the resident units, and said that they should be. The Surveyor interviewed the Administrator at 10:33 A.M. on 12/20/17. The Administrator said he was not aware that the postings on how residents and/or their representatives could contact the DPH or advocacy groups were not on the resident units, or anywhere in the lobby. Observations of the lobby of the Facility at 10:15 A.M. on 12/22/17 did not indicate any posting(s) including contact information of all pertinent State agencies and advocacy groups, with the exception of the Office of the State LTC Ombudsman. There also was no indication of any posting(s) including information on how a resident may file a complaint with the DPH. Failed to allow residents to easily view the nursing home's survey results and communicate with advocate agencies. Based on records reviewed, observations and interviews, for both resident units and the front lobby facility, the Facility failed to ensure that surveys for the past three years were readily accessible to residents, visitors and other interested parties. Signage in the front lobby area indicated that the most recent DPH survey results were located in racks outside of the dining rooms on each of the neighborhoods (resident care units). Observations of the Brigham unit at multiple times on 12/19/17 and 12/20/17 revealed a sign which indicated that the most recent DPH survey results were located at the nurses’ station for review. The Surveyor was unable to locate the DPH survey results at the nurses’ station. The Surveyor interviewed Nurse #2 at 9:07 A.M. on 12/20/17. Nurse #2 said she had worked at the Facility for approximately 5 months. Nurse #2 said she was not sure where the DPH survey results were kept, but thought that they were located by the elevator on the unit. The Surveyor notified Nurse #2 of the sign which indicated that the results were located at the nurses’ station, and asked if Nurse #2 could locate them. Nurse #2 was able to locate the survey results in a closed cabinet behind the nurses’ station. The DON said she did not know why the survey results were not posted on the Brigham unit. The DON said it was not appropriate to have a sign indicating that anyone who wished to review the survey results would have to request them from staff as the results were kept at the nurses’ station. The Administrator said he was not aware that the survey results on the Brigham unit were not readily accessible to anyone who wished to review them. Failed to immediately tell the resident, the resident's doctor, and a family member of situations (injury/decline/room, etc.) that affect the resident. **NOTE- TERMS IN BRACKETS HAVE BEEN EDITED TO PROTECT CONFIDENTIALITY** Based on observations, interviews and record review, the facility staff failed to ensure the Physician was notified of a change in condition regarding a Peripherally Inserted Central Catheter (PICC-an intravenous line inserted into a vein in the arm that is threaded through the chest until it reaches a large vein near the heart to deliver medications) used for the antibiotic therapy for 1 sampled resident (#47), in a total of 19 sampled residents. – if during assessment of a [MEDICAL CONDITION] (Central Venous Access Device/PICC) it is found that the external length of the catheter has changed, document the change in the residents’ medical record, inform the licensed independent practitioner and consult the infusion nursing agency provided. – the catheter is not to be used until there is verification of its position Review of the Hospital Discharge Summary, dated 11/6/17, indicated the resident was started on IV antibiotics. Review of the Physician’s Progress note, dated 11/6/17, indicated Resident #47 was readmitted to the facility for 6 weeks of IV antibiotic therapy for an infected hip replacement. The note indicated the resident had a left upper extremity PICC line in place at the time of the assessment. Review of the Physician’s Orders, dated 11/2017, indicated an order to document the external catheter length in centimeters (cm) at the time of insertion, with dressing changes, and as needed. Review of the Nurses Progress Note, dated 11/7/17, indicated Resident #47 was readmitted to the facility after hospitalization for an infected right hip. The note indicated the resident had a PICC line in place with the external catheter length measuring 5.0 cm, and was receiving antibiotic therapy. Review of the Nurses Progress Note, dated 11/21/17, indicated the resident continues on antibiotic therapy via IV. The note indicated the PICC line dressing was changed and no migration (movement of the catheter) of the catheter was noted. Further review of the clinical record did not indicate that the Physician was notified about the change in the external catheter length from 5.0 cm on 11/7/17 to 12.0 cm on 11/21/17 (a difference of 7 cm). Review of the Nurses Progress Note, dated 11/22/17 at 11:00 A.M., indicated the PICC line became dislodged and the catheter measured 40 cm. The note indicated the Physician’s Assistant was notified, and an order was obtained to have the PICC line re-inserted. Review of the Access RN Checklist for PICC and Midline Insertion sheet, dated 11/22/17, indicated the PICC line was re-inserted and placement was verified with CXR( chest X-ray). The external catheter length at the time of re-insertion was 0 cm. Review of the Quarterly Minimum Data Set (MDS) Assessment, dated 11/22/17, indicated Resident #47 was cognitively intact, received 4 days of antibiotics, and received IV medications during the assessment period. During an observation on 12/21/17 at 10:54 A.M., Resident # 47 was seated in a wheelchair with leg rests in place. The resident was observed talking on the phone in his/her room, and the television was on. The surveyor observed a PICC line in position in his/her left inner arm which was not connected at the time of observation. During an interview, on 12/21/17 at 3:15 P.M., the Director of Nurses (DON) said she would notify the Physician if there was a 1 cm difference in the external catheter length measurement, per standards of practice. She further said that changes in the external catheter length could indicate that the PICC has migrated (moved out of position). During a follow-up interview on 12/22/17 at 2:34 P.M. with two other surveyors present, the DON said there is no indication that the Physician was notified regarding the change in the external catheter length measurement from 5.0 cm on 11/7/16 to 12.0 cm on 11/21/17 (a difference of 7 cm). Failed to develop and implement policies and procedures to prevent abuse, neglect, and theft. **NOTE- TERMS IN BRACKETS HAVE BEEN EDITED TO PROTECT CONFIDENTIALITY** Based on record review and interview the facility staff failed to investigate 3 injuries of unknown origin for one sampled resident (#39) out of a total sample of 19 residents. – The resident had impaired long and short term memory and severely impaired decision making ability. – Physical behaviors towards others occurred daily. – Verbal behaviors towards others occurred daily. -The resident was at risk for physical illness or injury due to his/her behaviors. – Others were at significant risk for physical injury due to the resident’s behaviors. 1. Review of the Progress Note, dated 7/22/17, indicated the resident did not have any behaviors except to self rise out of the chair. Review of an Event Report, dated 7/23/17 at 11:10 A.M., indicated the resident had a bruise to the left lower lip and 3 small open areas to the right hand. The bruise measured 3 centimeters (cm) x 0.5 cm. Review of the Root Cause Analysis form, dated 7/23/17, indicated the root cause was the resident was new to the facility and was combative with care. Further review indicated there was no witness statement from the Certified Nurses Aide (CNA) that found the bruises. -Resident to be placed in a supervised area when not in bed. Review of the Progress Notes, from 7/27/18-7/28/17, did not indicate the resident was observed pounding on his/her chest. Further review of the Progress Notes did not indicate the resident was combative and/or resistant to care. Review of an Event Report, dated 7/28/17 at 10:39 A.M., indicated the resident had a 9 cm x 6 cm black and blue bruise to the right anterior chest. Further review indicated the resident could be extremely combative and had been seen pounding on his /her chest during behavioral outburst (did not specify when this occurred) and also could be combative and resistive with care. Review of the Root Cause Analysis form, dated 7/28/17, indicated the root cause was the resident continued to adjust to the new environment and remained combative with staff. 3. Review of an Event Report, dated 8/6/17 at 10:59 A.M., indicated the resident had a 14 cm x 14 cm purplish black bruise to the left dorsal (top) of hand. Further review indicated the possible cause was labs drawn on 8/1/17 and 8/3/17 from LAC (left antecubital-inside of the elbow, not top of the hand). Review of the Root Cause Analysis form, dated 8/17/17, indicated the root cause was combative behavior and a lab draw done on 8/1/17 to the left extremity, (did not specify hand). On 12/22/17 at 10:34 A.M. the event reports for 7/23/17, 7/28/17, and 8/6/17 were reviewed with the Director of Nurses (DON). The DON said she would look to see if there were any witness statements or further investigations, and also said she was not the DON at the time of the incidents. She said she knew the resident could be combative but abuse had not been ruled out for any of the incidents. On 12/22/17 at 12:25 P.M., with 2 other surveyors present, Nurse #4 gave the surveyor Root Cause Analysis forms for the above stated incidents. She said they had been stored in her desk and had not been kept with the Event Reports as part of the investigations. When asked if abuse had been ruled out for the bruises of unknown etiology, she said no. **NOTE- TERMS IN BRACKETS HAVE BEEN EDITED TO PROTECT CONFIDENTIALITY** Based on observations, interviews and record reviews, the facility staff failed to follow the resident plan of care for 4 sampled residents (#32, #47, #69 and #89), in a total of 19 sampled residents. 1. For Resident #47, the facility staff failed to ensure the application of compression stockings (TEDS) as ordered by the Physician. Resident #47 was admitted to the facility in 8/2017 with [DIAGNOSES REDACTED]. Review of the physician’s orders [REDACTED].M. to 7:00 A.M. shift daily. Review of the Treatment Administration Record (TAR), dated 12/2017, indicated an order to apply TED stockings to bilateral lower extremities daily before rising on the 11:00 P.M. to 7:00 A.M. shift. Further review of the record indicated the TED stocking were applied from 12/1/17 through 12/20/17. During an observation on 12/20/17 at 3:48 P.M., Resident #47 was seated in a wheelchair in his/her room. The resident had shoes on and regular socks at the time of observation. The resident was not wearing TED stockings on, as ordered by the physician. During an observation on 12/21/17 10:54 A.M., Resident # 47 was seated in a wheelchair with bilateral leg rests in place. The resident was wearing regular socks on both his/her feet. There was no TED stockings on, as ordered by the physician. During an interview on 12/22/17 at 2:34 P.M., the Director of Nursing (DON) reviewed the TAR with the surveyor and said that the documentation indicated the TED stockings were applied. 2. For Resident #69, the facility staff failed to follow the physician’s orders [REDACTED]. Resident #69 was admitted to the facility in 4/2017 with [DIAGNOSES REDACTED]. Review of the Resident Care Card, undated, indicated the resident was on Oxygen therapy at 2 liters (L)/ minute (min) via nasal cannula. Review of the Activities of Daily Living (ADL) care plan, initiated 11/14/17, indicated the resident was on 2 L/min of Oxygen via nasal cannula. Review of the physician’s orders [REDACTED]. Review of the Medication Administration Record, [REDACTED]. During an observation on 12/20/17 7:49 A.M., Resident # 69 was lying in bed with bilateral side rails up. The resident had on Oxygen therapy set at 3 L/min via nasal cannula which was connected to a concentrator. During an observation and interview on 12/21/17 2:40 P.M., the surveyor observed Resident #69 with Certified Nursing Assistant (CNA) #2. The resident was lying in bed with bilateral side rails up. The resident was dressed and had a blanket over his/her bottom half. Oxygen therapy was in place via nasal cannula and was set at 3 L/min and was connected to the concentrator. CNA #2 said that the oxygen should be at 2 L/min. The surveyor observed CNA #2 turn down to 2.5 L/min. During an interview at this time, CNA #2 said that the resident should be on oxygen set at 2 L/min. 3. For Resident #89 the facility staff failed to adhere to the plan of care relative to supervision with meals, as ordered by the Physician. Resident #89 was admitted to the facility in 11/2017 with [DIAGNOSES REDACTED]. Review of the Speech Therapy Discharge note, dated 12/4/17, indicated Resident #89 was to have close supervision with oral intake, and recommended specific strategies to facilitate safety and efficiency during oral intake. Review of the Activities of Daily Living (ADL) care plan, dated 12/13/17, indicated Resident #89 required supervision after set up and was to eat meals in the supervised dining room every shift. Review of the Nutrition care plan, dated 12/13/17, indicated Resident #89 was to eat his/her meals in the Main Dining Room with supervision and cueing. Review of the Physician Orders, dated 12/2017, indicated an order for [REDACTED].>During an observation on 12/21/17 9:34 A.M., CNA #1 entered the resident’s room with breakfast plate and exited the resident’s room soon after. The surveyor observed Resident #89 seated in a wheelchair in his/her room with breakfast in front of him/her. Resident #89 was dressed and was wearing glasses. The surveyor observed there was no staff present when Resident #89 was eating a slice of toast. The surveyor observed the resident tray ticket which indicated the resident was to be in dining room for meals. The surveyor observed Resident #89 had intermittent coughing during the meal. During an interview on 12/21/17 at 10:08 A.M., CNA #2 said Resident #89 has no special diet needs and was able to eat meals where he/she wanted to. 4. For Resident #32 the facility staff failed to follow the care plan for use of a tab alarm. Resident #32 was admitted to the facility in 7/2017 with [DIAGNOSES REDACTED]. Review of the quarterly MDS assessment, dated 10/18/17, indicated the resident had severe cognitive impairment as evidenced by a Brief Interview for Mental Status (BIMS) score of 3 out of 15.
n 12/20/17 at 2:07 P.M., the resident was observed to be dressed with glasses and bilateral hearing aids in, self propelled the wheelchair around the unit with no tab alarm in place. On 12/20/17 at 4:21 PM the resident was observed self propelling the wheelchair around the unit with no tab alarm in place. When the surveyor asked Nurse #1 if the resident was supposed to have a tab alarm, she said yes. She went over to see the resident and said he didn’t have one on as he should have. Failed to provide for the safe, appropriate administration of IV fluids for a resident when needed. **NOTE- TERMS IN BRACKETS HAVE BEEN EDITED TO PROTECT CONFIDENTIALITY** Based on observations, interviews and record review, the facility staff failed to ensure appropriate care and services for a Central Venous Access Device ([MEDICAL CONDITION]) or PICC (Peripherally Inserted Central Catheter-an intravenous line inserted into a vein in the arm that is threaded through the chest until it reaches a large vein near the heart to deliver medications), for 1 sampled resident (#47), in a total of 19 sampled residents. – if during assessment of a [MEDICAL CONDITION] it is found that the external length of the catheter has changed, document the change in the residents’ medical record, inform the licensed independent practitioner and consult the infusion nursing agency provided. – in the case of migration (when the IV line is out of position), the tip position needs to be confirmed – the catheter is not to be used until there is verification of its position Review of the Hospital Discharge Summary, dated 11/6/17, indicated the resident was started on IV antibiotics. Review of the Physician’s Orders, dated 11/2017, indicated an order to document the external catheter length in centimeters (cm) at the time of insertion, with dressing changes, and as needed. Further review of the Physician’s Orders, dated 11/6/17-11/7/17, indicated an order to administer [MEDICATION NAME] (an antibiotic) 1,000 milligrams (mg), intravenous every 12 hours. Review of the Nurses Progress Note, dated 11/7/17, indicated Resident #47 was readmitted to the facility after hospitalization for an infected right hip. The note indicated the resident had a PICC line in place with the catheter external length measuring 5.0 cm, and was receiving antibiotic therapy. Review of the Nurses Progress Note, dated 11/7/17, indicated the PICC line dressing was changed, the circumference around the arm was 8.3 cm, and no migration was noted. Review of the Physician’s Orders, dated 11/7/17 – 11/17/17, indicated an order to administer [MEDICATION NAME] 750 mg intravenously every 12 hours. Review of the Administration Record, dated 11/2017, indicated on order to document the external length of the catheter at the time of insertion, with dressing change, and as needed. The following measurements were recorded in the medical record: -11/7/17 arm circumference of 8.3 cm -11/14/17 external catheter length of 12.5 cm, arm circumference of 27 cm Review of the Medication Administration Record, [REDACTED]. The [MEDICATION NAME] continued to be administered despite the change in external catheter length and arm circumference. The Policy to call Physician and Infusion Company was not followed. Review of the Physician’s Progress Notes, dated 11/17/17, indicated Resident #47 had a follow up with infectious disease, and a new order was obtained to increase the [MEDICATION NAME] to 1 gram every 12 hours. Review of the Treatment Administration Record, dated 11/2017, indicated the following measurements was recorded: – 11/21/17 catheter length 12 cm, arm circumference of 27 cm Review of the Nurses Progress Note, dated 11/21/17, indicated the resident continues on antibiotic therapy via IV. The note indicated the PICC line dressing was changed and no migration of the catheter was noted. Review of the Nurses Progress Note, dated 11/22/17 at 11:00 A.M., indicated the PICC line became dislodged and the catheter measured 40 cm. The note indicated the Physician’s Assistant was notified, and an order was obtained to have the PICC line re-inserted. Review of the Access RN Checklist for PICC and Midline Insertion sheet, dated 11/22/17, indicated the PICC line was re-inserted and placement was verified with CXR (chest X-ray). The external catheter length at the time of re-insertion was 0 cm. Review of the Quarterly Minimum Data Set (MDS) Assessment, dated 11/22/17, indicated Resident #47 was cognitively intact, received 4 days of antibiotics, and received IV medications during the assessment period. Review of the Nurses Progress Notes, dated 11/23/17, indicated the new PICC line was intact in the resident’s left arm, with no migration noted. The note indicated the resident continued to receive [MEDICATION NAME] through the PICC line, and indicated the dressing was to be changed within 24 hours. Review of the Nurses Progress Notes, dated 11/26/17, indicated the dressing to the PICC line was changed. Review of the Medication Administration Record, [REDACTED]. During an observation on 12/21/17 at 10:54 A.M., Resident # 47 was seated in a wheelchair with leg rests in place. The resident was observed talking on the phone in his/her room, and the television was on. The surveyor observed a PICC line in position in his/her left inner arm which was not connected to an infusion at the time of observation. During an interview, on 12/21/17 at 3:03 P.M. with another surveyor present, the surveyor reviewed the documentation for external catheter length measurements with Unit Manager (UM) #1. UM #1 was unable to tell the surveyor when reviewing the treatment record what the external catheter length was on 11/28/17 as there was no documentation indicating the measurement was obtained. UM #1 said that on 12/12/17, she thinks that the nurse doing the treatment may have documented an incorrect measurement. During an interview, on 12/21/17 at 3:15 P.M., the Director of Nurses (DON) said she would notify the Physician if the external catheter changed 1.0 cm from the previous measurements per standards of practice. She further said that changes in the external catheter length could indicated that the PICC has migrated (moved out of position). During a follow-up interview on 12/22/17 at 2:34 P.M. with two other surveyors present, the DON said a new PICC line dressing should be changed within 24 hours as per standards of practice. Upon reviewing the documentation with the surveyor, the DON said there is no indication that the dressing was changed within 24 hours post insertion. The DON said there is no indication that the Physician was notified regarding the change in the external catheter length from 11/7/17 -11/21/17 (from 5.0 cm to 12.0 cm). Failed to provide safe and appropriate respiratory care for a resident when needed. **NOTE- TERMS IN BRACKETS HAVE BEEN EDITED TO PROTECT CONFIDENTIALITY** Based on observations, interview, record and policy review, the facility staff failed to ensure Oxygen and respiratory tubing was changed as per standards of care and per facility policy, for 1 sampled resident (#69), in a total of 19 sampled residents. Resident #69 was admitted to the facility in 4/2017 with [DIAGNOSES REDACTED]. Review of the facility policy entitled Oxygen and Respiratory Tubing, revised 11/28/17, indicated the tubing for Oxygen and respiratory equipment should be changed every week on the 11:00 P.M. to 7:00 A.M. shift. the 11:00 P.M. to 7:00 A.M. shift. Review of the Resident Care Card, undated, indicated the resident was on Oxygen therapy at 2 liters (L)/ minute (min) via nasal cannula. Review of the Activities of Daily Living (ADL) care plan, initiated 11/14/17, indicated the resident was on 2 L/min of Oxygen via nasal cannula. Review of the Physician’s Orders, dated 12/2017, indicated an order to administer Oxygen at 2 L/min via nasal cannula continuously every shift. Review of the Medication Administration Record, [REDACTED]. Review of the clinical record did not indicate how often to change the Oxygen tubing. During an observation on 12/20/17 7:49 A.M., Resident # 69 was lying in bed with bilateral side rails up. The resident had on Oxygen therapy set at 3 L/min via nasal cannula which was connected to a concentrator. During an observation and interview on 12/21/17 2:40 P.M., the surveyor observed Resident #69 with Certified Nursing Assistant (CNA) #2. The resident was lying in bed with bilateral side rails up. The resident was dressed and had a blanket over his/her bottom half. Oxygen therapy was in place via nasal cannula and was set at 3 L/min and was connected to concentrator. The surveyor observed humidification connected to the concentrator which not dated, and the Oxygen tubing was not dated. During an interview on 12/21/17 at 2:49 P.M., the Director of Nurses (DON) said there is an order set in the computer for Oxygen care and services for residents that are on Oxygen therapy. The DON said that this order set includes instructions for nursing staff to change the Oxygen tubing weekly on the 11:00 P.M. -7:00 A.M. shift, and also instructs the Oxygen tubing should be dated when it is changed. She said that when Resident #69 was admitted to the facility, the order set must not have been added to the Physician’s Orders, so currently there is no order to change/date the Oxygen tubing. The DON said she cannot tell the surveyor when the resident’s tubing had been changed last. **NOTE- TERMS IN BRACKETS HAVE BEEN EDITED TO PROTECT CONFIDENTIALITY** Based on observations, interview and record reviews, the facility staff failed to ensure an entrapment assessment was completed for the use of side rails for 2 sampled residents (#31 and #69), in a total of 19 sampled residents. 1. Resident #31 was admitted to the facility in 10/2012 with [DIAGNOSES REDACTED]. Review of the clinical record did not indicate a assessment for the risk of entrapment was completed for the use of side rails. During an observation on 12/19/17 at 8:20 A.M., Resident # 31 was lying in bed with his/her eyes closed. Bilateral side rails were in place and in the up position. During an observation on 12/20/17 7:59 A.M., Resident # 31 was lying in bed with his/her eyes closed. Bilateral side rails were in place and in the up position. During an interview on 12/22/17 at 9:30 A.M., with 2 other surveyors present, the Director of Nurses (DON) said that side rail assessments were conducted quarterly. During a follow-up interview on 12/22/17 at 12:47 P.M., the DON said there was no side rail assessment completed for this resident. 2. Resident #69 was admitted to the facility in 4/2017 with [DIAGNOSES REDACTED]. Review of the clinical record did not indicate an assessment for the risk of entrapment for the use of side rails was completed. During an observation on 12/20/17 at 7:51 A.M., Resident # 69 was lying in bed with his/her eyes closed. Bilateral side rails were in place and in the up position. During an observation on 12/21/17 at 2:40 P.M., Resident # 69 lying in bed with his/her eyes closed. Bilateral side rails were in place and in the up position. During an interview on 12/22/17 at 1:10 P.M., the DON said there was no side rail assessment completed for the use bed rails for this resident. **NOTE- TERMS IN BRACKETS HAVE BEEN EDITED TO PROTECT CONFIDENTIALITY** Based on record review and staff interview, facility staff failed to ensure the accuracy of the assessment for 6 of 19 sampled residents (#2, #4, #5, #8, #12, and #17). 1. For Resident #4, facility staff failed to accurately code for a fracture prior to admission and for Hospice Care. Resident #4 was admitted to the facility in 5/2016 with [DIAGNOSES REDACTED]. Review of the resident’s Physician’s Note of 5/31/16 indicated the resident was admitted to the facility and admitted to the facility’s Hospice Care due to End Stage [MEDICAL CONDITION]. Progress Notes of 6/1/16 indicated the resident had fallen at the facility’s sister facility on 5/16/16 and sustained left 5th and 6th rib fractures. Review of the Admission Minimum Data Set (MDS) Assessment of 6/6/16 inaccurately indicated the resident had no fracture related to a fall in the 6 months prior to admission (Section J1700c) and no Hospice Care (in Section O0100k-Special Programs). During interview on 12/14/16 at 7:10 A.M., the MDS Coordinator said that the Admission MDS assessment needed to be corrected for a fall with fractures and Hospice Care. During interview of 12/14/16 at 12:58 P.M., the MDS Coordinator said that the resident had been inaccurately coded for bladder incontinence on the resident’s Significant Change and Quarterly MDS assessments due to inaccurate Certified Nursing Assistant documentation. 3. For Resident #5, facility staff failed to accurately code the resident for an active diagnosis. Resident #5 was admitted to the facility in 7/2013 with [DIAGNOSES REDACTED].). During interview on 12/14/16 at 12:58 P.M., the MDS Coordinator indicated that the Significant Change MDS Assessment needed to be modified to add the resident’s active [DIAGNOSES REDACTED]. 4. For Resident # 17, facility staff failed to accurately code the resident for a fall before admission and for Hospice Care. Resident #17 was admitted to the facility in 9/2016 with a [DIAGNOSES REDACTED]. Review of Hospital Discharge Summary Report, dated 9/25/16, indicated the resident had fallen on 9/11/16 in the resident’s home bathroom. Review of the resident’s Admission MDS Assessment of 10/5/16 indicated the resident was not coded as having a fall any time in the last month prior to admission (in Section J1700A). Review of Physician Orders, dated 10/20/16, indicated the resident was admitted to the facility’s Hospice with Dx (Diagnosis): Cancer. Review of the resident’s 11/1/16 Significant Change MDS Assessment indicated the resident was not coded for Hospice Care (in Section O0100k-Special Programs). During interview on 12/19/16 at 11:45 A.M., the MDS Coordinator indicated that the Admission and Significant Change MDS Assessments needed to be modified to account for the resident’s pre-admission fall and for Hospice Care. 5. For Resident #8, facility staff failed to accurately code a fall that resulted in a right radius fracture on the 2/23/16 Significant Change in MDS Assessment. Review of the 2/14/16 Progress Note indicated the resident sustained [REDACTED]. Review of the 2/23/16 Significant Change in Status MDS indicated the fall resulting in a fracture was not coded in section J1700. During an interview on 12/14/16 at 12:30 P.M., the MDS Coordinator said the fall that resulted in a fracture should have been coded, but it had been missed. 6. For Resident #12, facility staff failed to accurately code intravenous (IV) antibiotic and Hospice services on the 11/8/16 Significant Change in Status MDS assessment. Review of the 10/30/16, Progress Note indicated the Resident was sent to the hospital for a respiratory evaluation. Review of the 10/31/16 Progress Note indicated the Resident returned from the hospital and had received IV [MEDICATION NAME] and [MEDICATION NAME] (anti-infective medications) while in the hospital. Review of the 11/2/16 Progress Note, indicated the Resident was admitted to Hospice care. Review of the 11/8/16, Significant Change in Status MDS Assessment indicated the IV antibiotics and Hospice care were not coded. During an interview on 12/16/16 at 1:55 P.M., the MDS Coordinator said the IV antibiotics and Hospice care were omitted on the 11/8/16 Significant Change in Status MDS assessment in error. She said they both should have been coded. **NOTE- TERMS IN BRACKETS HAVE BEEN EDITED TO PROTECT CONFIDENTIALITY** Based on record review and staff interview the facility failed to ensure staff administered short acting insulin per standards of practice and Manufacturer’s directions for use for one resident (#19) out of a total sample of 19 residents. The facility staff failed to ensure the resident received a meal 15 minutes after Insulin administration to avoid an episode of low blood sugar ([DIAGNOSES REDACTED]) and transfer to the emergency room. Review of the Lippincott Nursing2016 Drug Handbook(page 762) regarding Humalog ([MEDICATION NAME]) Insulin, indicated that Humalog should be administered, within 15 minutes before a meal or immediately after a meal. Information for use of [MEDICATION NAME] provided by Eli Lilly and Company, copyright 2015, subcutaneous injection: Administer the dose within 15 minutes before a meal or immediately after . Resident #19 was admitted to the facility in 8/2016 with [DIAGNOSES REDACTED]. The Admission Minimum Data Set Assessment (MDS) of 9/6/16 indicated the resident: was alert and oriented; did not ambulate; required extensive assistance from staff for activities of daily living; received Insulin injections daily and had a [DIAGNOSES REDACTED]. Review of the physician’s orders [REDACTED]. A physician’s orders [REDACTED]. The Insulin was written on the Medication Administration Record [REDACTED].M., 11:30 A.M. and 4:30 P.M. There was no evidence in the medical record to ensure the resident would receive meals right after the short acting Insulin was administered to avoid a hypoglycemic emergency. A physician’s orders [REDACTED]. reading). This order was on the physician’s orders [REDACTED]. Review of the 9/2016 MAR indicated [REDACTED].-7:00 A.M. nurse (Nurse #6) obtained a FSBS on 9/15/16 of 94 which was within normal limits, then administered 7 units of fast acting Insulin at 7:30 A.M.
A Nurse’s Progress Note of 9/15/16 written at 2:44 P.M., indicated that Nurse #1 was administering the resident’s 8:00 A.M. medications prior to breakfast. The resident stopped talking, became unresponsive, and was slumped in the chair, drooling. The resident was put back to bed and a blood sugar indicated a reading of 42 (a normal reading is approximately 70-130). Despite Resident #19 being unresponsive, facility staff did not administer the [MEDICATION NAME] injection, but instead attempted to administer Glucose orally, however, the resident was unresponsive and unable to swallow. A call was made to 911 to transport the resident out to the hospital at approximately 8:45 A.M. (per Director of Nurses on 12/19/16 at 11:00 A.M.). The Hospital’s Discharge Instructions indicated the resident was seen for [DIAGNOSES REDACTED] caused by receiving Insulin too early and not eating. The note also indicated that the facility should absolutely not administer Insulin too early and especially if the resident is not going to eat. During interview on 12/19/16 at 11:00 A.M., the Director of Nurses (DON) said that Resident #19 did not eat after receiving the Insulin injection. During interview on 12/19/16 at 1:00 P.M., Nurse Manager #2 said that the resident received the fast acting Insulin at 7:30 A.M., and that the resident is served breakfast between 8:15-8:30 A.M., and not 15 minutes prior to a meal or immediately after according to Manufacturers Directions for Use and standards of practice. **NOTE- TERMS IN BRACKETS HAVE BEEN EDITED TO PROTECT CONFIDENTIALITY** Based on record review and staff interview, facility staff failed to ensure that two residents (#13 and #19) in a total sample of 19 residents, received the necessary care and services to attain or maintain the highest practicable physical, mental, and psychosocial well-being consistent with the residents’ comprehensive assessment and plan of care. 1. For Resident #19, facility staff failed to ensure the resident received a meal 15 minutes after Insulin administration to avoid an episode of low blood sugar ([DIAGNOSES REDACTED]) and transfer to the emergency room . Resident #19 was admitted to the facility in 8/2016 with [DIAGNOSES REDACTED]. The Admission Minimum Data Set Assessment (MDS) of 9/6/16 indicated the resident: was alert and oriented; did not ambulate; required extensive assistance from staff for activities of daily living; received Insulin injections daily and had a [DIAGNOSES REDACTED]. Review of the physician’s orders [REDACTED]. A physician’s orders [REDACTED]. The Insulin was written on the Medication Administration Record [REDACTED].M., 11:30 A.M. and 4:30 P.M. There was no evidence in the medical record to ensure the resident would receive meals right after the short acting Insulin was administered to avoid a hypoglycemic emergency. Review of the Lippincott Nursing2016 Drug Handbook(page 762) regarding Humalog ([MEDICATION NAME]) Insulin, indicated that Humalog should be administered, within 15 minutes before a meal or immediately after a meal. A physician’s orders [REDACTED]. reading). This order was on the physician’s orders [REDACTED]. Review of the 9/2016 MAR indicated [REDACTED].-7:00 A.M. nurse (Nurse #6) obtained a FSBS on 9/15/16 of 94 which was within normal limits, then administered 7 units of fast acting Insulin at 7:30 A.M. A Nurse’s Progress Note of 9/15/16 written at 2:44 P.M., indicated that Nurse #1 was administering the resident’s 8:00 A.M. medications prior to breakfast. The resident stopped talking, became unresponsive, and was slumped in the chair, drooling. The resident was put back to bed and a blood sugar indicated a reading of 42 (a normal reading is approximately 70-130). Despite Resident #19 being unresponsive, facility staff did not administer the [MEDICATION NAME] injection, but instead attempted to administer Glucose orally, however, the resident was unresponsive and unable to swallow. A call was made to 911 to transport the resident out to the hospital at approximately 8:45 A.M. (per Director of Nurses on 12/19/16 at 11:00 A.M.). The Hospital’s Discharge Instructions indicated the resident was seen for [DIAGNOSES REDACTED] caused by receiving Insulin too early and not eating. The note also indicated that the facility should absolutely not administer Insulin too early and especially if the resident is not going to eat. During interview on 12/19/16 at 11:00 A.M., the Director of Nurses (DON) said that Resident #19 did not eat after receiving the Insulin injection. During interview on 12/19/16 at 1:00 P.M., Nurse Manager #2 said that the resident received the fast acting Insulin at 7:30 A.M., and that the resident is served breakfast between 8:15-8:30 A.M., and not 15 minutes prior to a meal or immediately after according to Manufacturers Directions for Use and standards of practice. 2. For Resident #13, facility staff failed to ensure monitoring and documentation for a central venous catheter (CVC), used to remove and return blood during [MEDICAL TREATMENT]. Resident #13 was admitted to the facility in 11/2016 with a [DIAGNOSES REDACTED]. Review of the hospital discharge summary, dated 11/9/16, indicated the resident received [MEDICAL TREATMENT] through a CVC in the chest wall. Review of the facility’s policy for [MEDICAL TREATMENT] Care, dated 1/9/10, indicated the nurse would establish baseline information to individualize plan of care (i.e. fluid restriction, medication, weights, lab work etc.) The policy did not indicate a protocol or reference for the care of a CVC. Review of the Physician orders [REDACTED]. Review of the Treatment Administration Record (TAR), dated 11/9/2016 to 12/16/2016, indicated no documentation for the care and services of a CVC. On 12/16/16 at 11:40 A.M., the resident was observed with Unit Manager (UM) #2. UM #2 showed the surveyor the [MEDICAL TREATMENT]. The site was located on the resident’s left chest wall, and was covered with an intact dressing. The limb of the CVC was protruding from the dressing. The end of the catheter was protected by a dressing and tape. During an interview on 12/16/16 at 11:45 A.M., UM #2 said the chart should have had physician’s orders [REDACTED]. She also said the TAR should have included documentation to show the CVC site was monitored. Based on observation and interview, facility staff failed to properly store and label medications in 3 of 4 medication carts and did not have permanently affixed compartments for controlled medications in 1 of 2 unit medication room refrigerators. 1. On 12/14/16 at 1:20 P.M., the surveyor observed two narcotic boxes in the Thornton Unit Medication Room refrigerator, each contained 2 boxes of Ativan liquid (a controlled anti-anxiety medication). The narcotic boxes were locked but not affixed to the refrigerator. 2. On 12/14/16 at 1:30 P.M., the surveyor observed Medication Cart B on the Thornton Unit to have very dirty drawers, the third drawer had a sticky red substance that medication bottles were sticking to in the drawer. Nurse #1 said a medication bottle had been leaking for awhile and that the medication cart needed to be cleaned. -One tube wound gel dressing unlabeled. The base of the drawers, as well as the base of the medication cart, were dirty. During an interview on 12/14/16 at 1:45 P.M., Nurse #2 said all of the medications should have been labeled with residents’ names. The expired medications should have been removed and the powder, hydrocortisone ointment and wound gel should have been kept in the treatment cart. She said the medication cart needed to be cleaned. -one tube wound gel dressing unlabeled. The base of the drawers in the medication cart were very dirty with debris in the corners. During an interview on 12/14/16 at 1:55 P.M., Nurse #3 said the expired medications should have been removed and the other products should have been labeled with residents’ names. She said the medication cart was dirty and needed to be cleaned. During an interview on 12/14/16 at 2:00 P.M., the Assistant Director of Nurses said the medication carts needed to be cleaned, and he was unaware the narcotic boxes in the refrigerator of the Thornton Unit Medication Room were supposed to be affixed. **NOTE- TERMS IN BRACKETS HAVE BEEN EDITED TO PROTECT CONFIDENTIALITY** Based on record review and interview, facility staff failed to maintain complete and readily accessible clinical records for 4 of 19 sampled residents (#3, #6, #12, #14). 1. For Resident #6, the facility staff failed to maintain readily accessible Hospice clinical records. Review of the 11/11/16 Progress Note indicated the Resident’s Physician referred the Resident for a Hospice consult. Review of the 11/12/16 Progress Note indicated the Resident was admitted to the facility’s Hospice. Review of the 11/22/16 Significant Change in Status Minimum Data Set Assessment (MDS) indicated the Resident was receiving Hospice Care. Review of the clinical record indicated no documentation of visits or clinical notes from Hospice Care. During an interview on 12/14/16 at 11:45 A.M., the Director of Nurses (DON) said Nursing and Hospice documentation/services should have been integrated. She said the person from Hospice was trained to document visits and other clinical notes into the facility’s electronic medical record, but that person left the job 2-3 months ago, and the new person had not been using the facility’s electronic medical record. She said she was unaware the documentation was not readily accessible to the facility staff by either the electronic medical record or in binders on the unit. 2. For Resident #12, the facility staff failed to maintain readily accessible Hospice clinical records. Review of the 10/31/16 Progress Note indicated the Resident’s physician referred the Resident for a Hospice consult. Review of the 11/2/16 Progress Note indicated the Resident was admitted to the facility’s Hospice. Review of the clinical record indicated no documentation of visits or clinical notes from Hospice Care. During an interview on 12/16/16 at 2:00 P.M., Unit Manager (UM) #1 said there had recently been a glitch with the communication with Hospice. She said there was no documentation of Hospice visits available on the unit. Nurse #5 said the resident had been on TPN daily and that she did not add the [MEDICATION NAME] Adult to the TPN bag, that only a Registered Nurse (RN)could do that and either the Director or Assistant Director of Nurses (DON/ADON) had added the [MEDICATION NAME] Adult to the TPN bags. During an interview on 12/16/16 at 4:00 P.M., the DON said only an RN added to the TPN bag in their facility, even though their policy didn’t specify that. She said she had told Nurse #5 she should not have documented on the MAR that she added medication to the TPN bag. The DON said she herself had added the medication but had not documented the clarification anywhere in the Resident’s clinical record. 4. For Resident #3, facility staff failed to maintain readily accessible Hospice clinical records. Review of the clinical record indicated that Resident #3 was referred to Hospice on 12/2/16 and was admitted to Hospice on 12/5/16. Review of the clincal record indicated no documentation of visits or services provided by the Hospice staff. During an interview on 12/13/16 at 2:30 p.m., Nurse #4 said he was unable to locate any Hospice documentation in the electronic record or in a binder on the unit. He referred the surveyor to the DON. During an interview on 12/14/16 at 11:45 A.M., the DON said the social worker called the Hospice agency and requested the documentation. During an interview on 12/14/16 at 1:00 P.M., the Director of Social Service said she received the records from Hospice to add to the Resident’s record. She said the records included documentation from Hospice admission on 12/5/16 through 12/13/16.